Ekta initially completed her Undergraduate Degree in Business and Commerce (2006). She then trained as a Dermal Therapist at the Australasian Academy of Cosmetic Dermal Science in 2009. She has since then worked as a Dermal Therapist with Dermatologists, Cosmetic Physicians internationally and within Australia. She completed her Masters in Nursing Science Degree from The University of Western Australia in 2014 in order to expand her scope of practice. 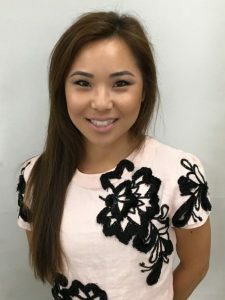 She now works as a Cosmetic Nurse with a reputable Cosmetic Medical Practice providing dermal therapies, injectables and assisting in vascular surgery as a scrub/scout/recovery nurse. She is also a Senior Lecturer at AACDS delivering on campus lectures and online education to beauty therapists, dermal therapists, nurses in the field of Dermal Therapies and Cosmetic Nursing. Ekta is also closely involved with development, design and curriculum compliance. 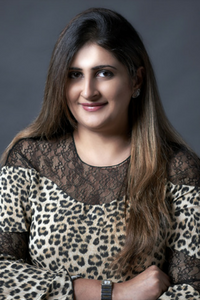 Ekta’s recent role with Niche Education is that of a Program Manager for Aesthetics CPD. Dr Jayson Oates is the Medical Director of the Academy Face and Body in Perth and Academy Laser Clinic in Sydney. He completed his Bachelor of Medicine and Bachelor of Surgery in 1990 and went on to train in Otolaryngology Head and Neck Surgery (Fellow of the Royal Australasian College of Surgeons FRACS) finishing in 1997. Interested in facial plastic surgery he joined The Australasian Academy of Facial Plastic Surgery in 1995 and the European Academy of Facial Plastic Surgery in 1997. In 1998 and 1999 he continued his training by gaining further training and experience in facial plastic surgery in the United Kingdom and the United States of America. In 2005 Dr Oates was elected President of the Australasian Academy of Facial Plastic Surgery holding this position for six years. 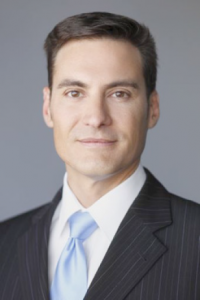 In his current practice, Dr Oates’ offers rhinoplasty, facelift, necklift, blepharoplasty, facial implants, otoplasty, liposuction, fully-ablative laser resurfacing and cosmetic vaginal surgery. Keenly sought after by the media Dr Oates has appeared on or been quoted by Channel 7, 9 and 10 news, the West Australian and various community newspapers, Cosmetic Surgery Magazine and various radio stations. Gemma initially trained as a medical scientist and has a Bachelor of Science (Molecular Biology) (Honours) degree (2005) from the University of Adelaide and a Master of Science (Oncology) degree (2010) from Cambridge University. In 2011, she started studying psychology and obtained a Graduate Diploma in Psychological Sciences (2011) from the University of Adelaide and Bachelor of Behavioural Science (Honours) degree (2012) from Flinders University. She commenced her PhD (Clinical Psychology) degree at Flinders University in 2013. Her PhD research focused on predictors and outcomes of labiaplasty and she submitted her thesis in June 2016. To date, she has written seven peer-reviewed articles and two commentary papers from her PhD research. She is currently expanding her research to explore male genital cosmetic surgery in collaboration with cosmetic surgeon, Dr Jayson Oates. She is also a clinical psychologist registrar with interests in body image concerns and eating disorders. 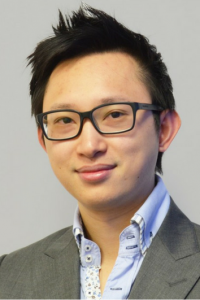 Dr Danh joined Academy Face and Body in early 2015. He has a well grounded background in family and emergency medicine.Offering a holistic approach to cosmetic medicine, Dr Danh provides many treatment modalities including: Mona Lisa Touch, Laser Resurfacing Treatments, Thread Lifts, Ear Lobe Repair, Scarless Mole Removals, Dermal Fillers, Wrinkle Relaxers to name a few. As part of his general practice specialty, Dr Danh is able to manage a wide variety of skin conditions including regular skin cancer check and mole removal, hyper-pigmentation and scar management.Dr Danh also lectures at the Australasian Academy of Cosmetic Dermal Science (AACDS), where he facilitates regular injectable workshops – training doctors and registered nurses Australia wide as part of their Post Graduate Diploma Courses. 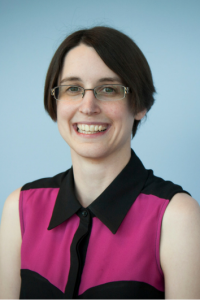 Dr Rhona Creegan is a Nutritional Biochemist/Consultant and Registered Nutritionist (NSA) with extensive experience in clinical biochemistry, molecular genetics and nutrition. Rhona has worked in major teaching hospitals in the United Kingdom and Australia in both clinical biochemistry and diagnostic molecular genetics laboratories. She has completed formal studies in Nutrition Medicine and as a researcher investigated lipidomics and Alzheimer’s disease. She has a nutrition medicine consulting business (Omega Nutrition Health), working adjunct to conventional medicine to optimise health with targeted functional testing, nutrition and lifestyle plans. Rhona is an educator, researcher and consultant to industry and a published author in the areas of nutritional biochemistry, genetics and nutrition. Dr Charl du Plessis obtained his medical degree at Stellenbosch University in Cape Town, South Africa, in 1996. He then joined the army where he nurtured his passion for emergency medicine and adventure. He worked in a mixture of GP, emergency & cosmetic practices in South Africa, Angola and Mozambique until moving to Australia in 2006. Since Charl obtained his GP Fellowship in 2012 and completed his international medical graduate moratorium in remote WA, he found his way back to cosmetic medicine and is now working towards his fellowship with the CPCA (Cosmetic Physician College of Australia), ACAM (Australasian College of Aesthetic Medicine) and A5M (AustralAsian Academy of Anti-Ageing Medicine). Charl currently owns his own cosmetic medical practice in Perth CBD which offers a wide variety of cosmetic medical treatments. Jessica has been a registered Pharmacist since 2010 and currently works at a pharmacy in Perth. She is also currently the Compounding Manager and spends most of her working week in a laboratory preparing personalized medications for patients. Her strong passion for helping others resolve their health issues led her to study Anti-Ageing Medicine with the Australasian Academy of Anti-Ageing Medicine (A5M). This has revolutionized the way Jessica approaches, not only her daily life but also the importance of healthy living for all those around her. In addition to this, Jessica is also a lecturer, trainer and assessor for the Australasian Academy of Cosmetic Dermal Science delivering the unit – ‘Evaluate The Use and Formulation of Cosmeceuticals’ to students. 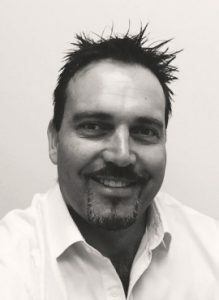 Luke has a legal and management consulting background, has run training organisations in both the international and domestic vocational education sectors and has lectured in business and law. 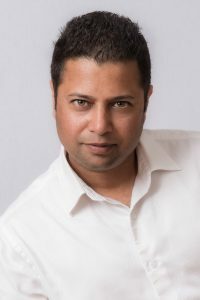 He has a Degree in Law and an MBA from the University of Western Australia, and a Professional Diploma of Digital Marketing from the Digital Marketing Institute. He uses his expertise in learning management and strategic management to great effect in the development of learning organisations. He has great passion in training leadership skills and team effectiveness to promote staff engagement and productivity across organisations.Luke currently runs a niche consulting practice centered on the health and beauty space, Cosmetic Medical Consulting, offering a range of services in strategic management, productivity training and digital marketing. Dr. Chaitali Thakkar is an experienced dermatologist with vast knowledge in skin, hair and nails. She has undertaken her basic training in India but also has had international dermatology exposure in America and Australia and is well versed in treating different skin types. Her expertise include lasers and light systems, facial rejuvenation, skin tightening, resurfacing techniques etc. Dr. Thakkar is well trained in various anti-ageing procedures including injectables. She has been trained in Advanced indications of Botulinum Toxin, Lasers & light therapy. 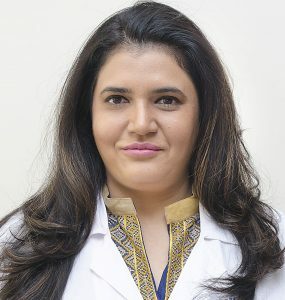 She has performed aesthetic procedures such as Chemical Peels, mesotherapy, lipolysis, microdermabrasion and other treatments for numerous patients.. She has authored a chapter on ‘Chemical Peels and Microdermabrasion’ in IADVL textbook of Dermatology. She has also presented lectures on various topics including, ‘Hyperandrogenism and its effect on skin’. Over the years, Dr. Thakkar has participated in numerous national and international Aesthetic Dermatology conferences & workshops. Marian Rubock is a qualified expert skin care specialist. 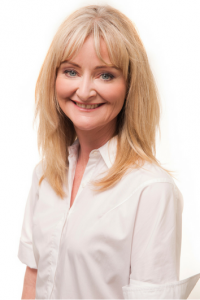 With over thirty-three years of medical experience and having suffered skin disorders herself, Marian has a profound understanding of the skin. She was a columnist on natural skin, health & beauty; Beauty issues for The West Australian for the last 7 years until October 2013 and is a regular speaker on radio for Curtin FM & a guest speaker at 6PR, ABC & 2UE. International speaker, 2017 (Wellness Symposium Las Vegas) and regularly conducts information evening on Your Skin & Health at Natures Harvest in WA. Marian released her first book in August 2016 “Your Skin’s Secrets” which is now its second reprint. Marian is involved in delivering face to face workshops in Gut-Skin Connection with Aesthetics CPD.